The New Members Course (pdf) provides an opportunity for members to learn more about DAR and how they can become active participants in DAR at all levels – chapter, state, and national. 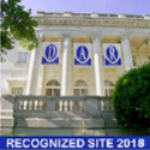 The primary goal of the course is to capitalize on the wave of enthusiasm that many new members have when joining DAR and guide them in learning more about DAR and to assist them in becoming an active DAR member. At the core of the course is a self-guided curriculum structured around a series of online webinars that participants can do at their leisure, along with an independent project. Upon completion of the course, states typically hold a special graduation ceremony at State Conference or another state event to celebrate both the new member’s accomplishment and the chapter she joined. Any new member or new-member-at-heart who is interested in learning about DAR’s rich history and how they can get involved in DAR activities at the chapter, state and national level is welcome to participate in the New Members Course! For new-members-at-heart, it is a wonderful way to re-engage and learn what new opportunities are available to you since joining DAR. All course graduates must complete the required online modules listed below. Each Module has a related writable PDF Questionnaire with directions for accessing the online source. Questionnaires are to be returned to your State Coordinator as directed by your State Coordinator. All course graduates must complete at least eight of the Modules listed below; at least one from each category. Each Module has a related Questionnaire with directions for accessing the online source. Questionnaires are to be returned to your State Coordinator as directed by your State Coordinator. Your State Coordinator will be planning opportunities for you to participate in local and state events. Please contact your State Coordinator for more information about what is available in your state. Questionnaires are to be returned to your State Coordinator as directed by your State Coordinator. Each graduate must complete an Independent Project. Please review your project in advance with your State Coordinator. There are some ideas for projects included in this section, and if you would like other suggestions about your Independent Project, your State Coordinator can assist you. Questionnaires are to be returned to your State Coordinator as directed by your State Coordinator. All course graduates must complete this Module at the end of their course. The Module must be approved, signed, and submitted by the State Coordinator to the National Vice Chair, Member Training, certifying that the member has completed all requirements for graduation.